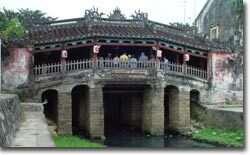 From the 16th to 18th centuries Hoi An was the centre for international trade in Vietnam. Merchant ships from Japan, China, Indian and Europe sailed up the Thu Bon river to load and unload cargo in the centre of the town. 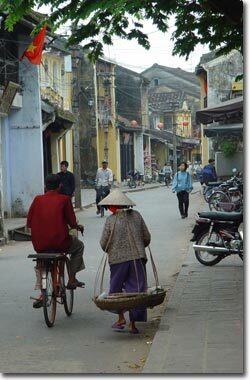 Today Hoi An is one of the most picturesque towns in Vietnam. Many of the old houses and other historical structures remain intact and have been the subject of careful restoration work. Most of these are open for public viewing. Tickets cost $3.50 per person and allow access to 5 different sites. 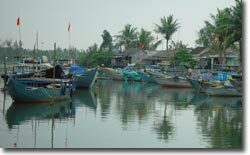 Hoi An is located 30km south of Danang. The journey from Danang airport takes about 45 minutes by taxi. You will find many places to stay in Hoi An but there can be a shortage of rooms during the peak season from August to February so it is advisable to book in advance.